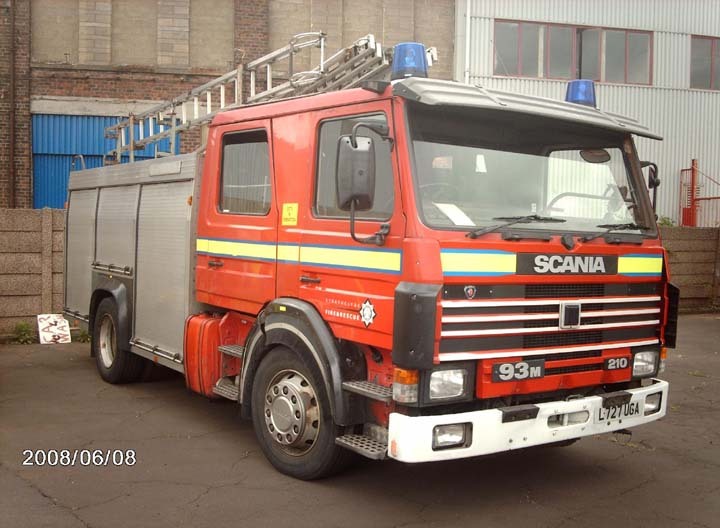 L727 UGA is a spare appliance it is seen here at Port Glasgow fire station. Added by Steve Bonner on 06 February 2009. Yeh.Been to MO1 a few times. Added by Tommy Swindle on 07 February 2009. I seen this appliance with lights and two tones on a shout on Friday 4/6/10 in the Hillington industrial estate - must have been working out of Pollock - it was there with the Renfrew appliance. It is good to see the older Scanias still working. Added by Buzz on 07 June 2010. Its strange to see this out working its normally used for the cadets. Added by Steve Bonner on 07 June 2010.